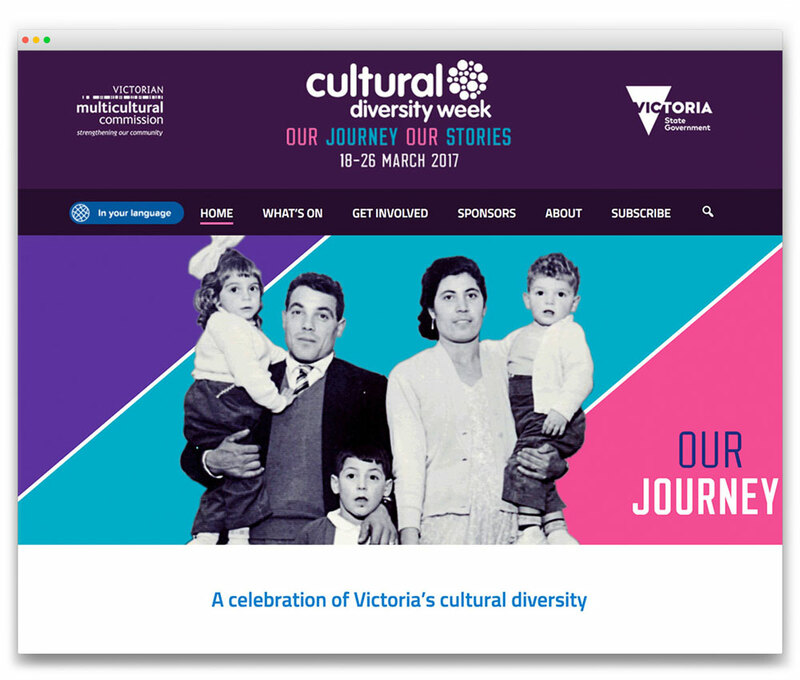 BRIEF: The Victorian Multicultural Commission needed a comprehensive microsite, packed with features, to enable people to more easily get information, participate and experience Cultural Diversity Week 2017. With a high proportion of mobile users in the target audience, the site had to have a strong mobile focus and it had to pass WAG 2.0 accessibility standards. OUTCOME: The site became the benchmark for any new sites created in the department.